Wagyu simply means "Japanese-style beef" in the Japanese language, but it also points to the main four breeds of Japanese cattle, that are prized for their exceptionally well-marbled meat. Miyazaki Prefecture is the 2nd largest producer of Kuroge Wagyu (Japanese Black Cattle), and only the highest quality cattle from this region can be dubbed "Miyazakigyu". 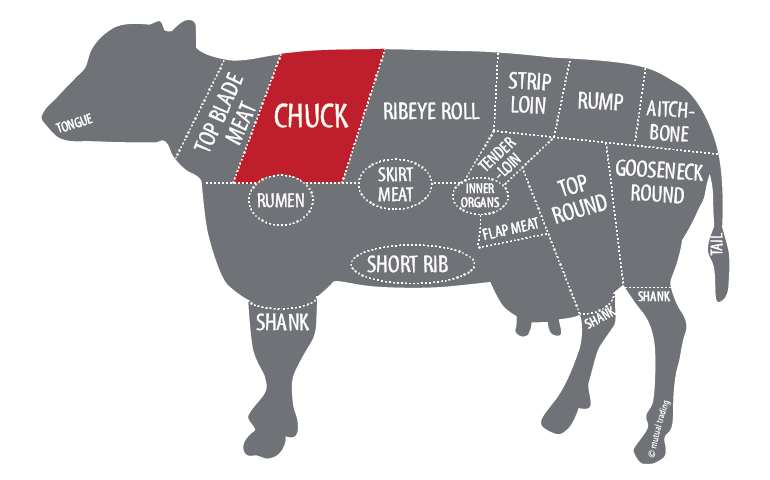 Chuck Flap, also known as Zabuton or Haneshita in Japanese, this particular cut is prized among meat connoisseurs for its fine marbling and tender texture. 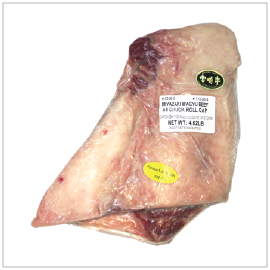 Chuck Flaps is great for steaks, sukiyaki, skewers, roasts and Sushi. 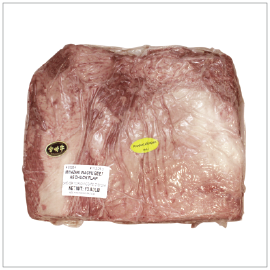 Chuck Roll is great for braising, smoking or ground.